Special Assignment (8028-3) was likely developed mostly to use up left over Magnetic Flaw Detectors. 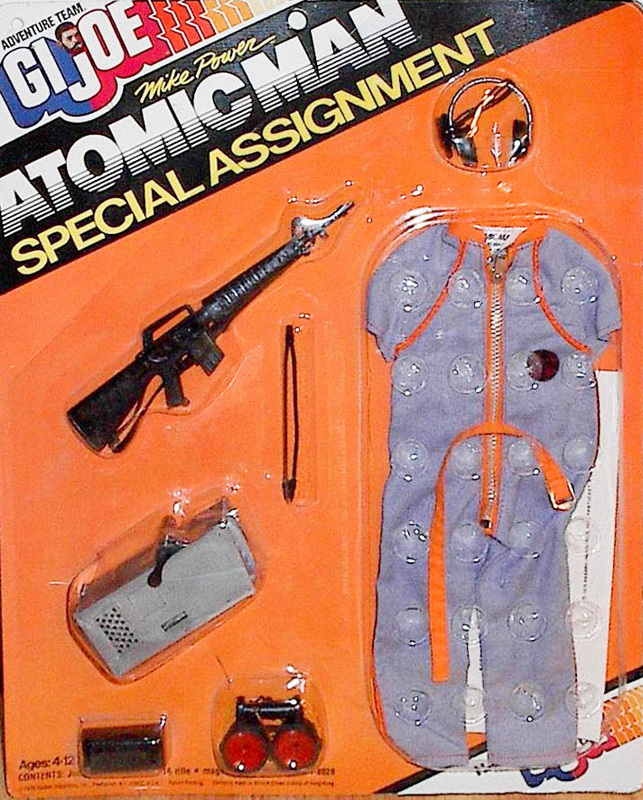 Along with that earlier accessory, the set includes a blue short sleeved jumpsuit with orange stripes, a hard to find orange cloth belt, short black low detail boots, and a M-16 in all black with a rubber strap and different fore stock than earlier Hasbro versions. The hard to find carded set below is shown courtesy of a friend of the site.